No matter it is big city or smaller one, inhabitants seek banquet halls for multiple purposes. Such halls are ardent needs in the present scenario especially due to lack of space in the urban areas. In fact such halls are no more separate entities in many cities. Take for example Hisar city based banquet halls. Almost all of them are part of big hotels operating in the city. 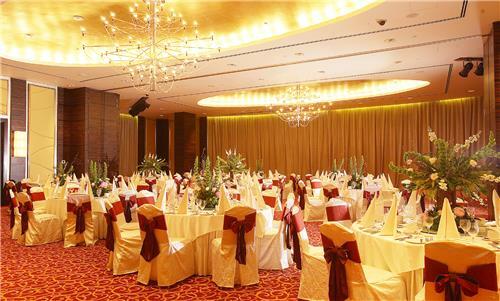 Keeping in consideration the ardent needs of banquet halls, most such halls in the city’s prominent halls are well-equipped with all the required facilities. With air-conditioned and state of the art facilities, all such banquet halls operating in Hisar city give a new lease of life to inhabitants. Such halls are used for multiple purposes from wedding arrangements to business parties and or the parties of other nature. Here is the list of banquet halls operating in the Hisar city of Haryana state. As rates vary from one wedding season to another so the best way is to contact the banquet halls mentioned in the list in this regard.